March 20, 2008: What are the signs of spring? They are as familiar as a blooming Daffodil, a songbird at dawn, a surprising shaft of warmth from the afternoon sun. And, oh yes, don't forget the aurora borealis. Spring is aurora season. For reasons not fully understood by scientists, the weeks around the vernal equinox are prone to Northern Lights. Canadians walking their dogs after dinner, Scandinavians popping out to the sauna, Alaskan Huskies on the Iditarod trail—all they have to do is look up and behold, green curtains of light dancing across the night sky. Spring has arrived! 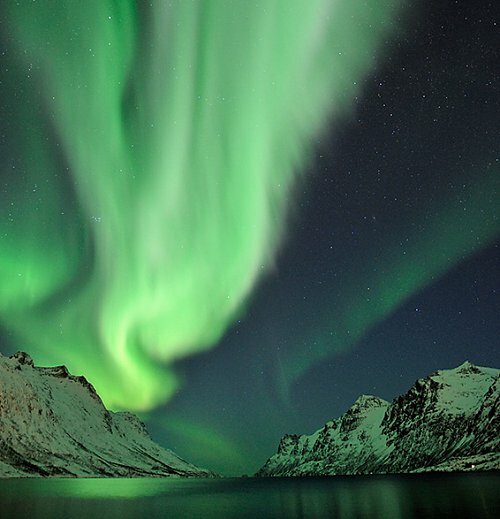 "It was a very powerful outburst of Northern Lights," says photographer Bjorn Jorgensen. "The ground actually turned green!" Such outbursts are called auroral substorms and they have long puzzled space physicists. Often sighted in springtime, "substorms erupt with little warning and sometimes shocking intensity," says UCLA space physicist Vassilis Angelopoulos. "They're a big mystery." Angelopoulos is the Principal Investigator of NASA's THEMIS mission--a fleet of five spacecraft launched in Feb. 2007 to study the substorm phenomenon. NASA's Polar spacecraft, which can detect auroras in broad daylight using special UV filters, has also joined the effort. It is a puzzle worthy of many spacecraft. Underlying each display of pretty lights is a potent geomagnetic storm. THEMIS observed one recently with a total energy of five hundred thousand billion (5 x 1014) Joules. "That's approximately equivalent to the energy of a magnitude 5 earthquake," says Angelopoulos. Possible side-effects of such storms range from satellite malfunctions to home power outages; telecommunications, air traffic and GPS systems are all vulnerable. "In a society that relies increasingly on space technology, understanding substorms is vital." "The satellites have detected magnetic 'ropes' connecting Earth's upper atmosphere directly to the Sun," says Dave Sibeck, project scientist for the mission at the Goddard Space Flight Center. "We believe that solar wind particles flow in along these ropes, providing energy for geomagnetic storms and auroras." It turns out that rope-like magnetic connections between Sun and Earth are favored in springtime. It's a matter of geometry: As Earth goes around in its orbit, Earth's tilted magnetic poles make different angles with respect to the Sun, tipping back and forth with a one-year cadence. 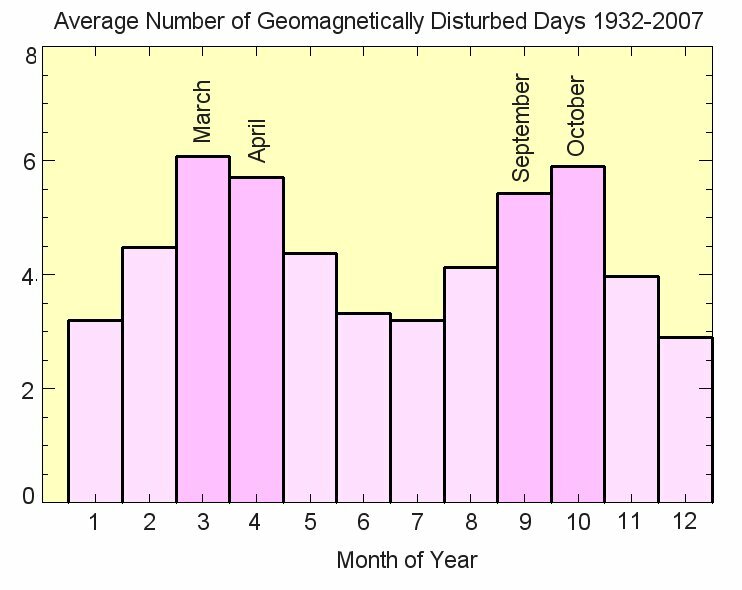 Around the time of the equinox, Earth's magnetic field is best oriented for "connecting-up" with the Sun. So, 'tis the season for auroras--and lots of data for THEMIS. Says Sibeck, "we welcome the spring!"